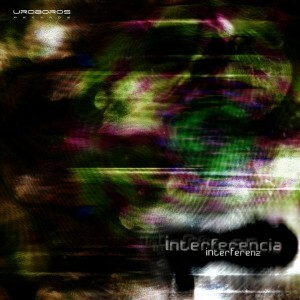 Uroboros Records presents Interferencia, the debut album by Interferenz, a Brazilian progressive psytrance founded by Andreh Torres (AKA Bash/Kernel Panic) in 2006 and later joined by Marcella Albo, who also produced tracks on this moody progressive masterpiece. Also featured here is a collaborative work alongside the new Brazilian project Tijah as well as a remix of an Onionbrain track from Beyond Space & Time. This is psychedelia in its essence: deep bass lines and mindblowing noises and melodies, a brain trip for open minds! Mastering by Andreh Torres @ RDStudio, Brazil, with artwork by Bruno Azalim. MP3 Download | FLAC Download | WAV Download · Download count: 12,369. 2012 letzzzzzzzzzzzzzzzzzzzzzzzz GOA for it…… thx! This is psychedelia in its essence: deep bass lines and mindblowing noises and melodies, a brain trip for open minds! Congratz to ur friends!!!! masterpiece !!! Good release, Congrat’s Andre and Marcela for the outstading release. Supeeeeeerrrr great job!!! Really nice release from the shadow’s family!!! continuous synchronization is a bomb! Thank u so much for the support and your kindness, i really appreciate that! After one year working, its a pleasure to us see you people enjoying the final result. Thanks for this progressive piece! We are proud to have your talent in prog time too! Thanks for all the support! This is really important to me! Special thanks to all uroboros crew for making this dream a reality and to andreh for the partnership! Thank you Andreh and Marcella for such a masterpiece! We’re very proud of beginning 2012 with it! Congrats INTERFERENZ & UROBOROS Rec Team for this mind triping experience !!! Marcella & Andreh u totally rocked it!!!! What a release !! Fantastic music for the night!! goin straight to the floor and will move the crowd!! 2012 gets better and better!! SUCESSO ANDRÉH, ÓTIMA PRODUÇÃO!Gostei em especial da inner talking, Interferenz represents brazil!!!!! Brilliantly good super genial….. love it…. Awesome…….keep spreading the Psyvibes………..Blasting !!!!!!!!!!! Can’t wait for the master release…………. congrats Andreh and Marcella, every success for you guys. representando a força nacional é isso aeee. Best release of 2012 on Ektoplazm so far! Massive basslines and complex psychedelic goodness. Makes my brain squish.